Nearly 139 firms, including 42 first time recruiters, offered placements to a batch of 359 students. XLRI- The Xavier School of Management has closed the placement season for the batch 2016-18. The median package offered to the batch stands at Rs. 21 LPA while the average is INR 20.01 lakhs. Close to 132 firms which include the 29 first time recruiters, offered placements to a batch of 358 students. Additionally, the institution received a total of 122 Pre-Placement Offers. In Human Resources Program, students received job offers across sectors viz. Consulting, FMCG, General Management and other industries like technology in large numbers. In the consulting area, The Boston Consulting Group, Accenture Technology Consulting, Deloitte S&O, KPMG, EY, Deloitte, and PwC offered placements on campus. Sales and Marketing opportunities offered by the FMCG sector have contributed to establishing XLRI as one of the most preferred recruitment destinations over the years. This year, was no different with industry majors like P&G, Colgate Palmolive, Hindustan Unilever Limited, Nestle, RB Johnson & Johnson, Mondelez, ITC India, AB InBev, and Heinz were among the regular recruiter from the FMCG sector. Avendus Capital, JP Morgan Chase, Citibank, DBS, Societe Generale, Edelweiss and Standard Chartered represented the financial services sector. 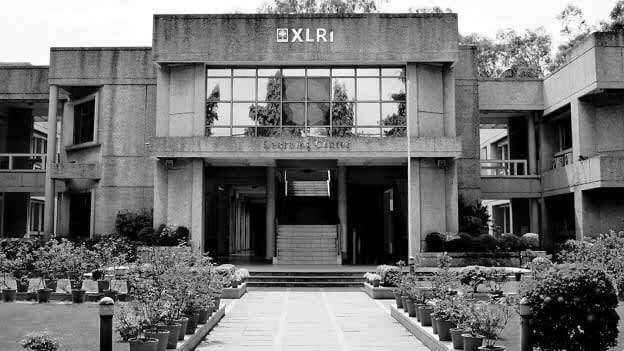 XLRI, with its students specializing in both the Human Resource and Business Management functions, continued to see reputed conglomerates such as Tata Administrative Services, Aditya Birla Group, RP Goenka group and Capgemini offering General Management roles. General Electric, Shell, Samsung Electronics, Bharti Airtel and Star also extended offers to the candidates. This year also saw healthy participation from PSUs with GAIL, IOCL, and HPCL hiring in large numbers along with first-time recruiters like National Housing Bank and India Health Action Trust.